Bring your car with a clear car title to Nevada Title and Payday Loans, Inc.
Once approved, you will receive the cash you need and keep driving your vehicle. This process can take as little as 30 minutes. No! You do not need a checking account to qualify for a title loan at Nevada Title and Payday Loans, Inc. Absolutely! Good credit, bad credit or no credit. For most title loan amounts, any credit is welcome. Nevada Title and Payday Loans, Inc. is committed to helping you get the cash you need. We will work with you under any credit situation. In Nevada, you must be at least 18 years of age to qualify for a title loan. Yes! In Nevada you keep your car when you take out a title loan. Does Nevada Title and Payday Loans, Inc. report to the credit agencies if my loan defaults? 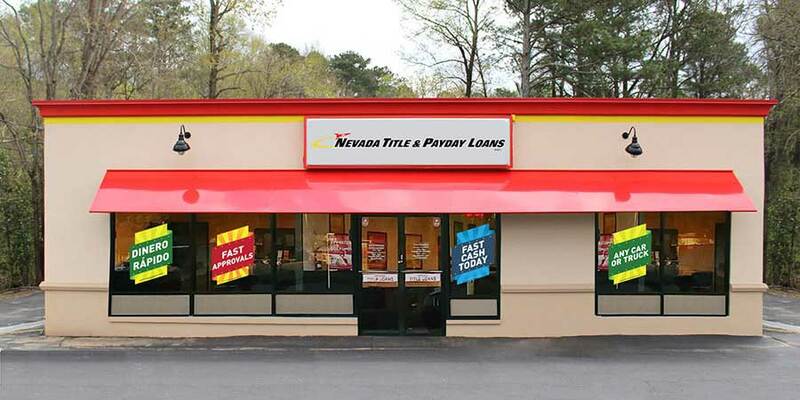 Nevada Title and Payday Loans, Inc. DOES NOT report to credit agencies if you default. The Nevada Title & Payday Loans, Inc. website has a store locator where you can find your nearest store location. A clear or lien-free car title simply means that you own your car outright, with no outstanding loans or judgments against it. To get a title loan with Nevada Title and Payday Loans, Inc. you need to have a clear or lien-free car title. You can get started by submitting our online request form with your basic information, after which you will be contacted by a friendly Nevada Title and Payday Loans, Inc. sales representative who will explain the application process. Applications will be taken in person at the Nevada Title and Payday Loans, Inc. location. Your title loan amount depends on the value of your vehicle. The maximum you can obtain is $15,000. To get a title loan with Nevada Title and Payday Loans, Inc. you need to have the vehicle title in your name. You will need to go to the DMV and have the title transferred to your name prior to requesting a title loan. Title loan terms and frequency may vary. Please check with a sales representative at the Nevada Title and Payday Loans, Inc. location for all the details. From the time you enter one our Nevada Title and Payday Loans, Inc. locations, it could take as little as 30 minutes to be approved for a car title loan.